LINCOLN, Neb. — The Huskers hit the turf at Memorial Stadium on Saturday for a dress rehearsal of sorts as the team moves closer to next weekend’s spring game. According to Coach Mike Riley, they ran a one-on-one tackling drill to get the first and second strings some live reps of taking guys to the ground in a controlled setting to open the day. After that, they had 12 live plays which were situational, three sets for each group. Next, they did a move-the chains drill with the offense starting on second-and-long. They got some work in the red zone, got the special teams some reps and then closed with about 20 plays for the younger players. Wide Receivers Stanley Morgan Jr. and Bryan Reimers both dressed out but did not participate as they work their way back from minor injuries. Morgan has a soft issue injury to his neck and Riley thinks he’ll have a chance to get back on the field for Tuesday’s practice. Reimers’ injury is a bruise and Riley was more confident that he will be back for Tuesday. Riley also announced that the staff made a couple of position changes with the intent of getting the best five offensive linemen on the field. Conrad appeared to have won that coin toss. Christian Gaylord took Conrad’s spot at back-up left tackle. John Raridon, who was previously competing with Decker for the starting center job, moved to left guard to compete with Jalin Barnett for the back-up job behind Jerald Foster. “What we do is we continually look and evaluate not only positions — who’s first string left tackle, back-up — but we also have a conversation about who are the five best football players and if we think that there is a situation like that where we might be missing the next best player after four, and that’s what we did with Cole; we created that competition with Cole because he might be top five,” Riley said. Riley said he has his thoughts on how Tanner Lee and Patrick O’Brien have done at quarterback but he’s going to keep them to himself and is going to let the competition play out. They continued to split reps evenly. Riley was a little more forthcoming at running back, where he said Tre Bryant and Mikale Wilbon have separated themselves a bit. Riley said Bryant’s experience as a true freshman has played a big role in getting him to this point. Unlike Bryant J.D. 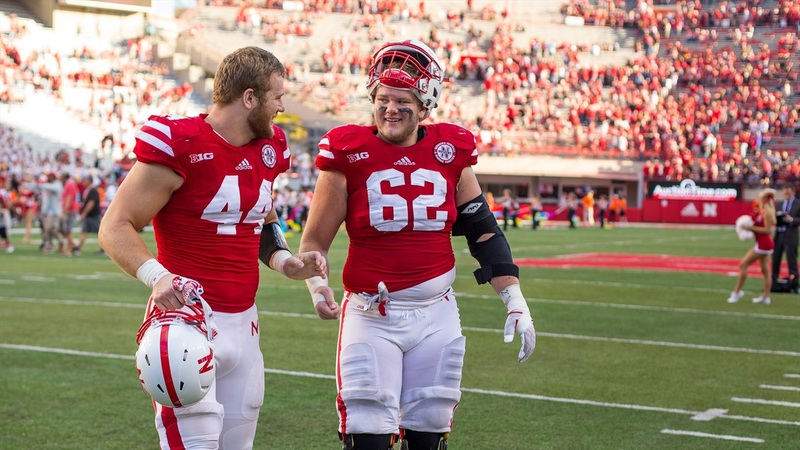 Spielman did not play as a true freshman but has impressed Riley with his overall ability. Kieron Williams and Antonio Reed got a lot of looks at safety with the second unit following the loss of JoJo Domain to an ACL tear. Domain looked to be the next guy cup after the two starters, Joshua Kalu and Aaron Williams, but Riley said Domann’s contributions on special teams will be even more difficult to replace. One reason for Riley’s confidence is the presence of veteran safeties coach Bob Elliott. After the rotation units completed their scrimmage Riley gave them a verbal tongue-lashing at midfield because two freshmen did some jawing back and forth and got into a scrum and other players got involved rather than breaking it up. Riley said it wasn’t too big of a deal but he used it as a teaching moment and said that he trusts this team and its leadership.